Sweatshirts just never die. Sweatshirts have been around for many decades and people have enjoyed the benefits and comfort that they get from using sweatshirts. Since then, sweatshirts have evolved to come in various forms and designs. Some have zippers all the way to the side instead of the middle while others have turtleneck features and huge pockets. Still others come with hoods to protect the wearer’s head from simple weather issues like drizzles and such. That said, what makes hooded sweatshirts amazing is that they can be customized or personalized based on the needs of the individual wearing it! “Customized” everything is almost the fad nowadays and hooded sweatshirts are not exempted from this. 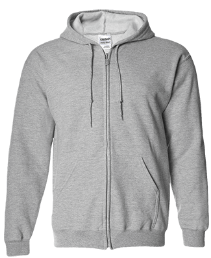 If you are wondering, here are some reasons why you should customize hooded sweatshirts. A custom hooded sweatshirt can give you a wide array of choices. Since you are not bound to the limits set by stores who mass-produce hooded sweatshirts, you can pick the colors that you like, the style that best suits you as well as the design that would best represent you. There are even custom embroidered hooded sweatshirts that you can opt to if you have enough budget and time to wait for the finished product. A customized hooded sweatshirt is the answer if you want one but you are in a budget. Branded hooded sweatshirts are, most of the time, pricey. This is not something that comes as a surprise as most branded items are expensive. However, since customized hooded sweatshirts are generic, meaning they do not belong to any specific brand, you can be sure to slash off a huge amount from the price. If you are looking to get a custom hooded shirt for yourself or as a gift for a friend or family member, you can rely on lanesha to provide you with your custom hooded shirt needs. Lanesha.com allows you to get inspiration for your custom printed hooded sweatshirts. We have a huge gallery to choose from in case you become undecided as to what to get and if you have the time to spend, lanesha.com also has a feature that allows you to play with designs for your personalized sweatshirt. 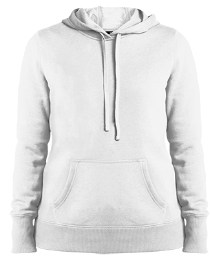 Lanesha.com’s “Play” feature allows you to select the kind of sweatshirt to customized, size, color, image design, as well as text design. If you have not visited lanesha.com yet, you might want to give it a check so you can start customizing your hooded sweatshirt in time for the cold season or the rainy days. Get one today~!